David Brown was named interim senior vice president for university relations in October, 2018. In this role he provides strategic direction and leadership of USC’s efforts to continuously improve its relationships with external and internal stakeholders. 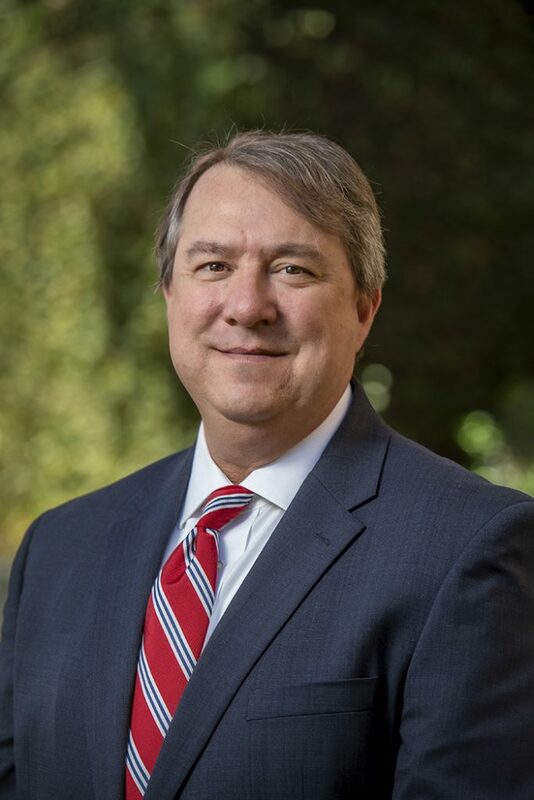 His portfolio of responsibilities includes government relations, public relations, community outreach, and USC’s thirteen public radio stations. For the past six years, Brown has served as associate senior vice president for USC federal relations, based in Washington, D.C. In that role, he was the university’s chief advocate on all legislative and regulatory matters related to higher education and student aid policy, federal research funding, and healthcare policy. Prior to joining USC, Brown served as director of health and clinical affairs for the University of California (UC) federal governmental relations in Washington, D.C. for 11 years. In that capacity, he served as the UC Health System’s senior lobbyist and healthcare policy expert on all matters related to Medicare and Medicaid reimbursement, health professions education and training, biomedical research, and other areas of interest to the University’s five academic medical centers, physician faculty and schools of medicine, nursing, public health, pharmacy, dentistry, optometry and affiliated veterans affairs (VA) medical centers. Before moving to Washington, D.C, David Brown served three years as government relations manager for the Wake Forest University Baptist Medical Center in Winston-Salem, North Carolina and seven years as director of health policy for the Virginia Hospital Association located in Richmond, Virginia. Brown received his bachelor’s degree in government and foreign affairs from the University of Virginia in 1987 and his master’s degree in health administration from the Medical College of Virginia in 1997.